3 How does the game look? Famous for its entertainment-themed slot games, IGT has created an all-star in Family Guy slot machine. This TV-show inspired game was originally released in 2014 at brick-and-mortar casinos. Owing to its popularity, IGT has now designed it for online casinos and its compatible with mobile devices. Loaded with show clips and funny catchphrases, the Family Guy online slot is a fun celebration of the game — complete with the television theme song. The Griffin family makes an appearance in this game, which includes some pretty exciting bonuses and special features. 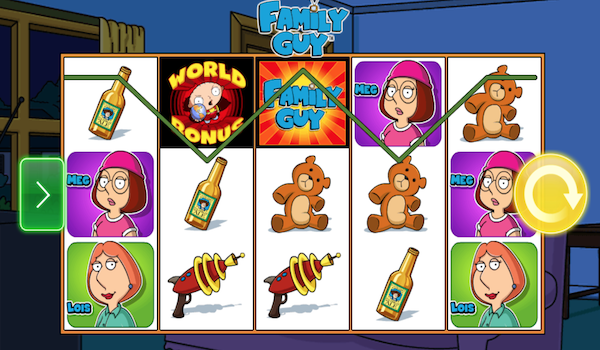 With a return to player of 96.05 percent, Family Guy slots are fairly generous with rewards. 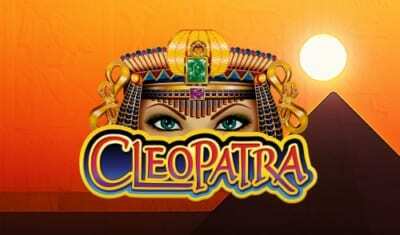 This free-to-play slot machine features myriad features. While there are traditionalists who prefer one good bonus round and straightforward play, players who enjoy a more involved experience will gravitate to this slot’s platform. There are multiple bonuses and various character-based features. In fact, most of the characters have their own feature. If you really do enjoy the show, there’s a strong likelihood that you’ll appreciate all the tie-ins to characters and storylines. The Family Guy slot machine, by IGT, features all the animation you love from the television show. Bright, bold colors and those recognizable voices combine to create this high-energy slot game. 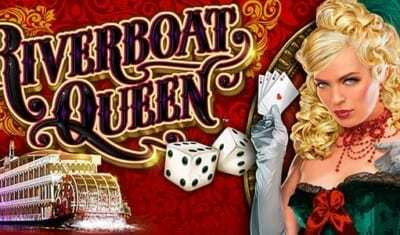 Set in the Griffin family’s living room, this free online slot game brings you right into the animated world. Unlike the television show, this one pays you rewards. The only downside, the TV show’s theme song can get a little repetitive. Fortunately, if it grates on you, you can disable the sound. Though, when those paylines hit, you might not mind the theme song as much. 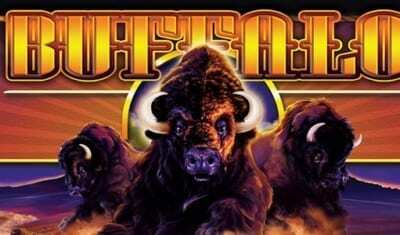 Wilds are easily recognizable in this game as they feature the show’s logo. They can stand in for any game symbol except for the World Bonus symbol. The World Bonus feature appears to be a fan favorite. You trigger it when you spin its symbol on reels two, three and four. When you trigger this feature, you spin a globe. When it stops spinning, you win entry to a bonus round. Other features to look out for include the popular Peter’s feature; it awards you 200x to 5,000x the value of the triggering coin. When you trigger Stewie’s feature, up to three wilds can appear on any of the reels. Lois’ feature is triggered, one to three family member symbols appear with increasing credit value. When Brian’s feature is triggered, one or two of the World Bonus symbols on reels three or four will trigger a World Bonus round. Starting the game is easy: Choose your bet, number of lines and then spin. There are several bonus features in IGT’s Family Guy. Drunken Clam Bonus: In this bonus, you’ll select one of four characters to win between 25x and 1,000x the coin value of your previous spin (the one that triggered the World Bonus). As the round continues, you’ll select beer taps to increase winnings. Chicken Fight Bonus: During this bonus round, you’ll choose between Peter or a giant chicken. The two will fight for three rounds. These fights are replicated from the show. After each round is complete, you can choose prize options. Excitingly, the more you win, the more picks you will earn — and the multiplier increases, too. Lois’ Hot Free Spins Bonus: Trigger this round to earn at least 10 free spins with the goal of collecting hearts. Every trio of hearts that you collect earns you a Lois wild symbol that appears on reels two, three and four. On reel three, look for the Quagmire retrigger to earn another five spins. This bonus round has lots of potential for winning. For fans of the Family Guy TV show, the slot game is a must. It may seem a bit busy if you aren’t a fan of the show or knowledgeable about its characters. However, if you know the Griffin family, you’re going to want to meet up with them again on the IGT platform. There’s a notion going around that many of these film or television-inspired slot games have low volatility, but there are lots of options for free spins and multipliers on this one. The overall feel is that the rewards are enticing and it’s full of gameplay along with the Griffin-inspired charm that fans know and love.